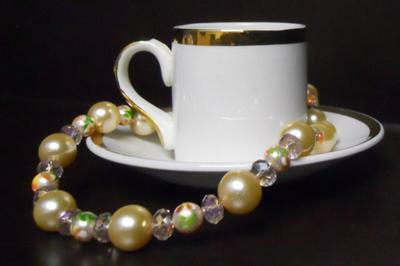 Caffeinated Gems and Jewels, the signature piece! 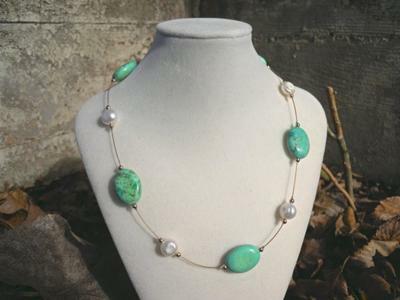 Description: Check out Janelle's gorgeous pearl and stone jewelry designs, so classy! I love jewelry. (I'm a Leo, of COURSE I love jewelry!) I also love coffee. And by love, I mean, I can't get enough of either! About a year ago, I decided that I loved it so much, I ought to try my hand at making some...so I embarked on this crazy adventure. My kitchen table is now a "workbench," if you will, although I'm working on creating a studio of my own in the near future. 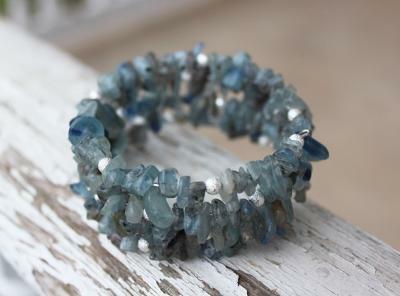 I started by reading everything I could get my hands on, books, magazines, online tutorials and videos, and by taking classes at local bead shops. It wasn't long before my love of beads turned into an obsession! Caffeinated Gems and Jewels was born. 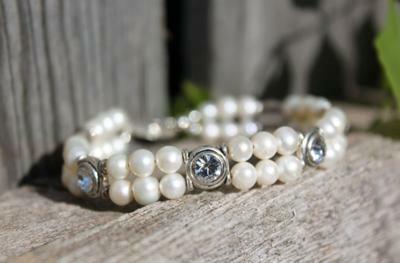 Among other things, I've discovered that I love working with pearls. I also truly love creating custom pieces for people that I know, or as gifts for others, when they describe the intended recipient, and I take a lot of pride in designing something specifically for that individual. A girlfriend gave me a cameo she had purchased in Italy, and asked me to "do somethng with it," and I've been hooked on that aspect of jewelry-making ever since. I would LOVE to work in this area full time, but until that becomes a viable possibility, I will continue working on my new-found hobby at every opportunity, and continuing to read, read, read, watch, and learn!